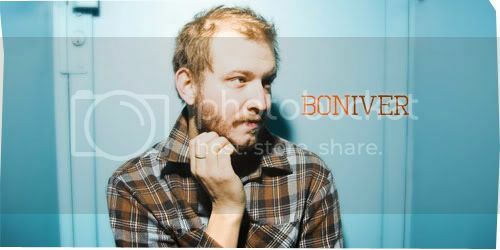 Bon Iver certainly feels like one of the most overly hyped artists this year. Some may disagree, but to each his own I guess. 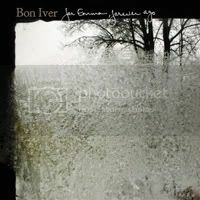 But being overrated isn’t necessarily a bad thing; Bon Iver aka Justin Vernon’s debut, For Emma, Forever Ago, is a gorgeous, wintry mix of folk songs. It’s very hushed and quiet, sparse and raw, cold yet warm and cozy, but all in all, it’s a very beautiful record. I keep going back and forth with this album; one second allowing myself to actually like it, other times feeling like I’m wallowing into midde-aged sappy fluff-- ooh.., harsh eh? Did I mention this is a beautiful record? No, really it is. ‘Flume’ is a spare, slow opener that quietly and suitably invites you into the cool, dimmed, melancholy setting within the musical realms of Bon Iver. And then there’s ‘For Emma’ which lends the whole album with a slice of optimism gently evoked by the brass section. Vernon effortlessly conveys affecting, heart-wrenching tunes that feeds on real emotions, brimming with broken heartedness and laments. These are glorious folk compositions that will linger in your memory long after the record’s stopped playing. Definitely. You’re crazy not to.